This is the latest of the completed Nightlancer graphics for the Opportunity deck. 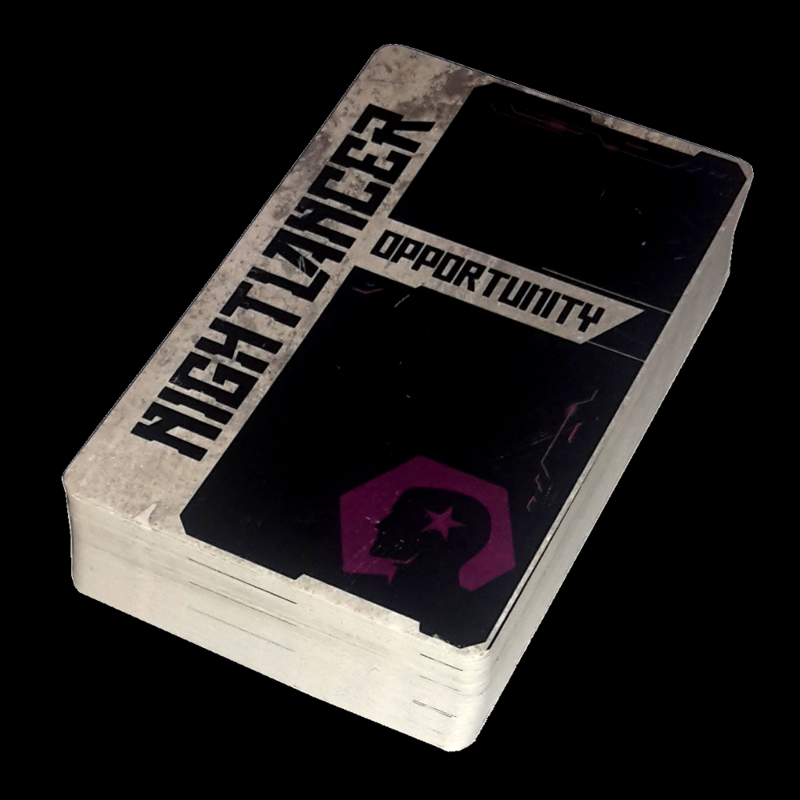 In Nightlancer the Opportunity deck is your supply of special chances to make progress. 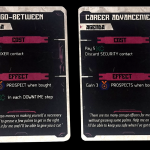 There are two broad types of card, the Skill card and the Agenda card. 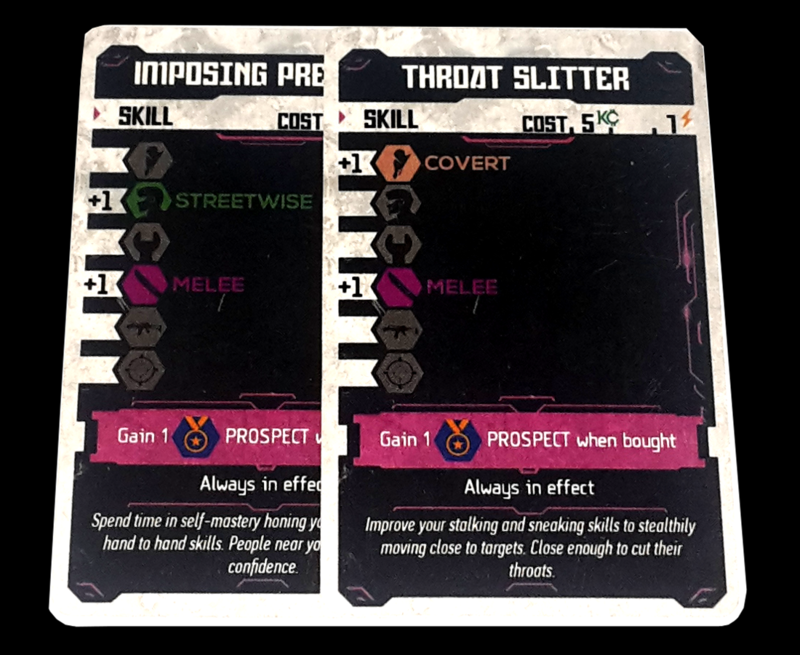 The Skill card is a special opportunity for training and self-improvement. 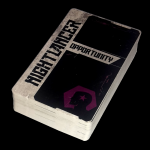 All Skill cards affect either one or two of the 6 Nightlancer abilities and once you buy them, they are permanently in effect for the rest of the game so your Nightlancer can take on harder Challenges and Missions. 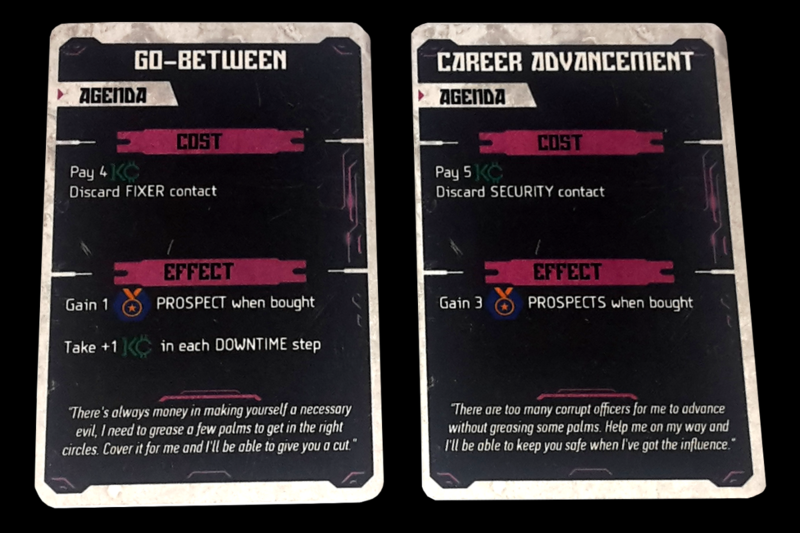 All Skill cards also give either Prospects or Ideals when they are bought. The Agenda card is an opportunity to pursue some grander goal. It could be an investment that will give you a long-time investment, a special connection that allows you to keep a Contact, a chance to exploit a Contact for a quick pay off or even a chance to help out the people of the slums and do something to improve their lives. There are only three more sets of cards awaiting new graphics: The Mission cards, the Nightlancer cards and the Round cards. 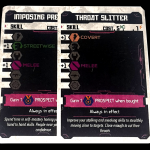 The Nightlancer graphic designer Christos is hard at work making progress on these designs and more will be available to see soon!